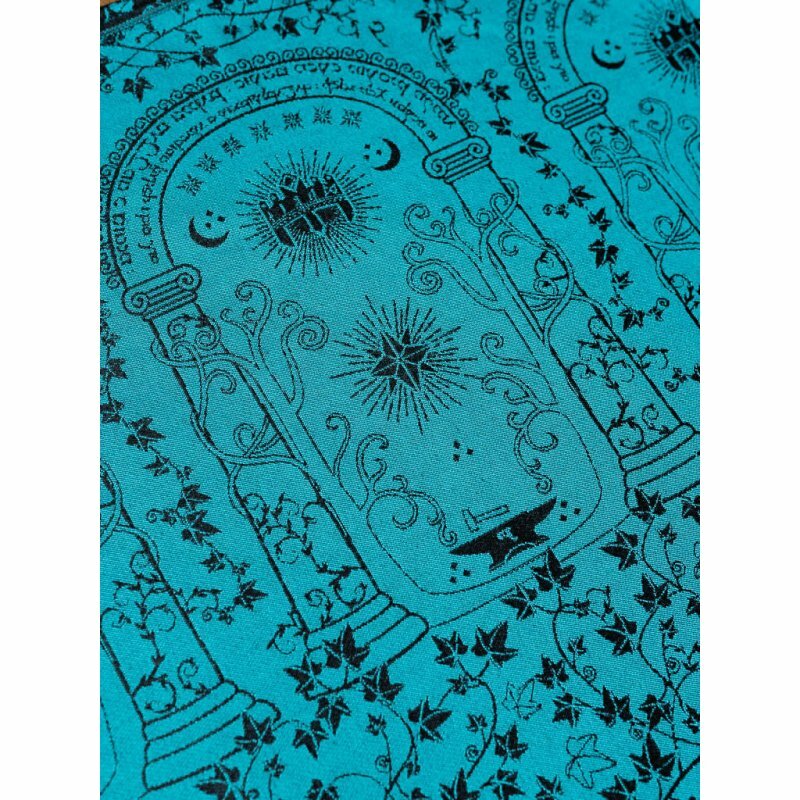 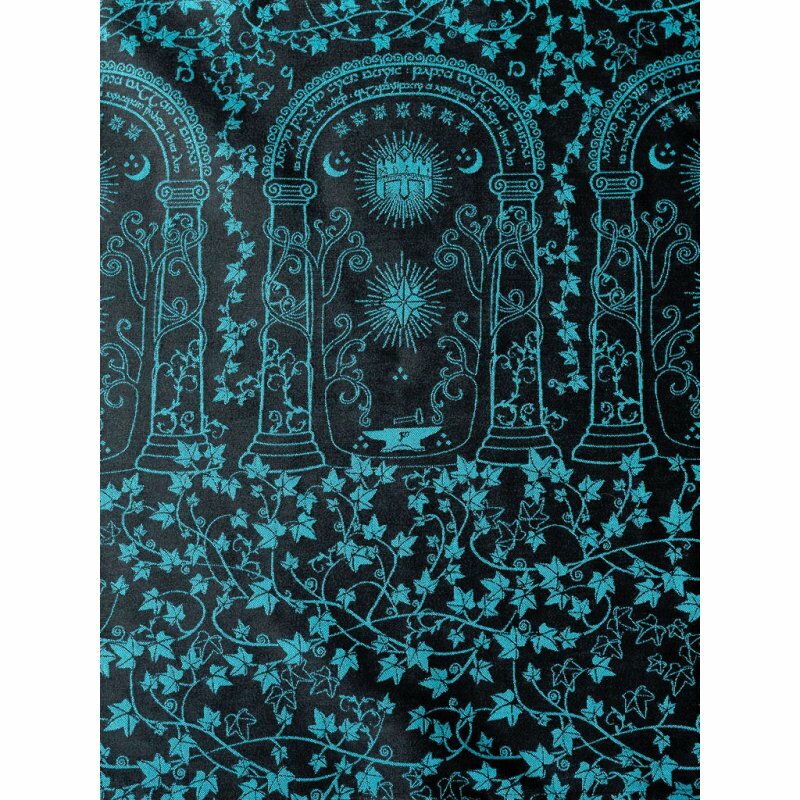 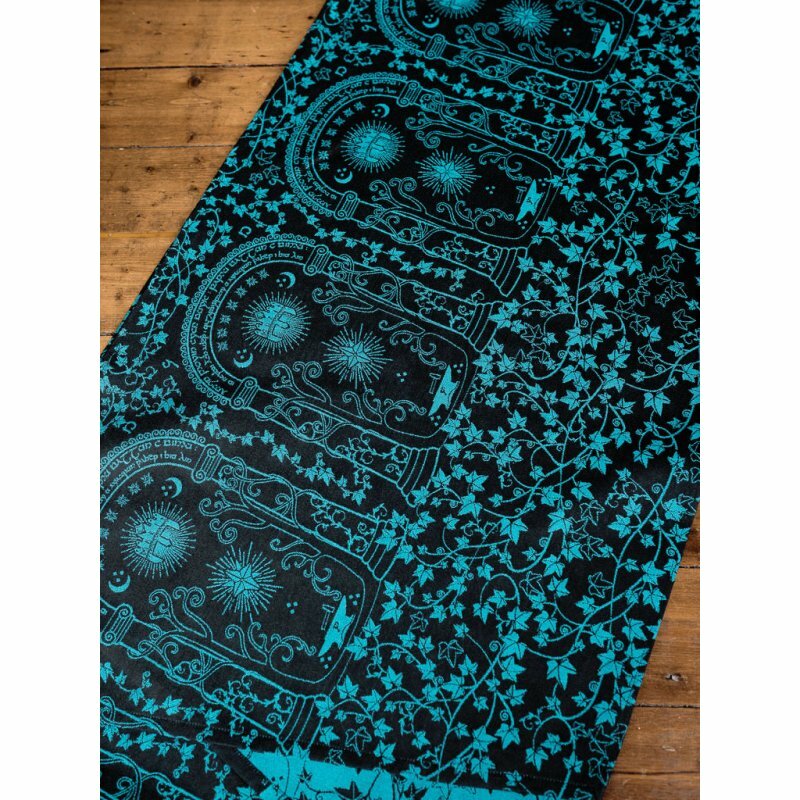 Shown in an effervescent blue against a black backdrop, intended to represent the magical moment when the Sindarin word for 'Friend' (Mellon) is spoken by Gandalf and the gateway is opened to the travellers of the Fellowship, after generations lying closed to the world. 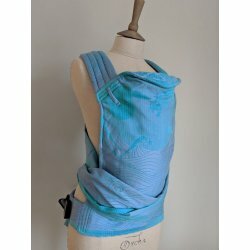 The placement of the Doors is such that the whole of the door will lie across your little ones back when wrapped - meaning the Door sits in the top two thirds of the wrap width, with a cascade of ivy flowing through the bottom third, much of which will be tucked under the seat when is use. 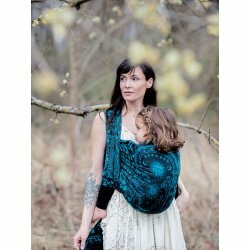 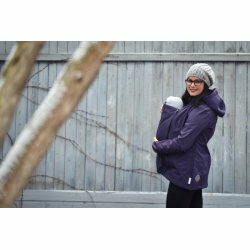 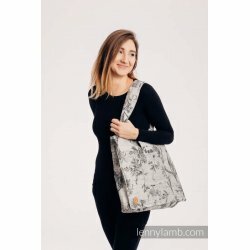 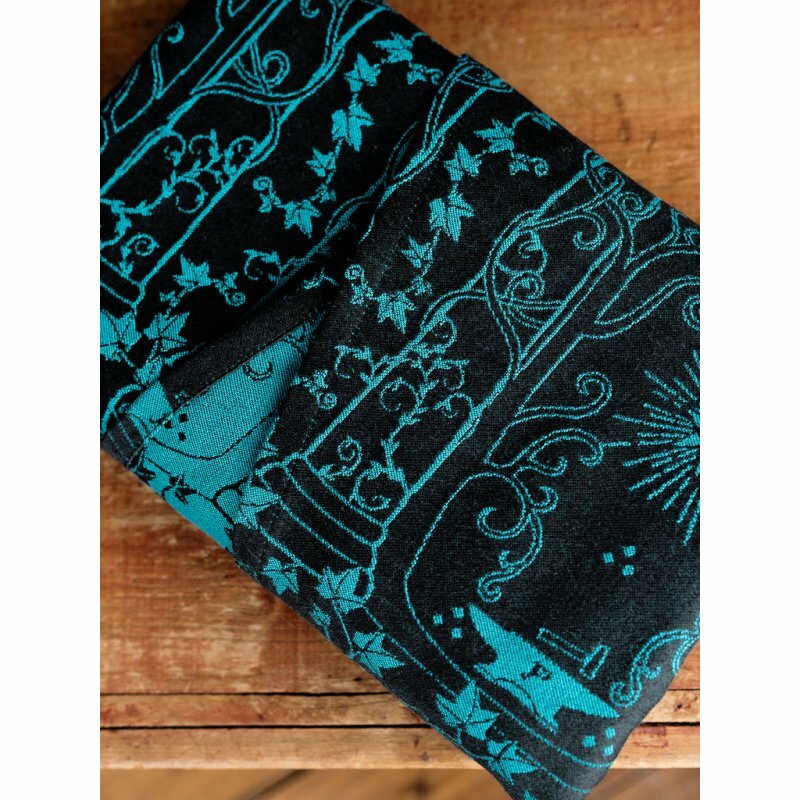 Woven with 100% organic combed cotton for a lovely softness and a little cush, this versatile and breathable sling is a great all-rounder and is perfect for new wrappers. 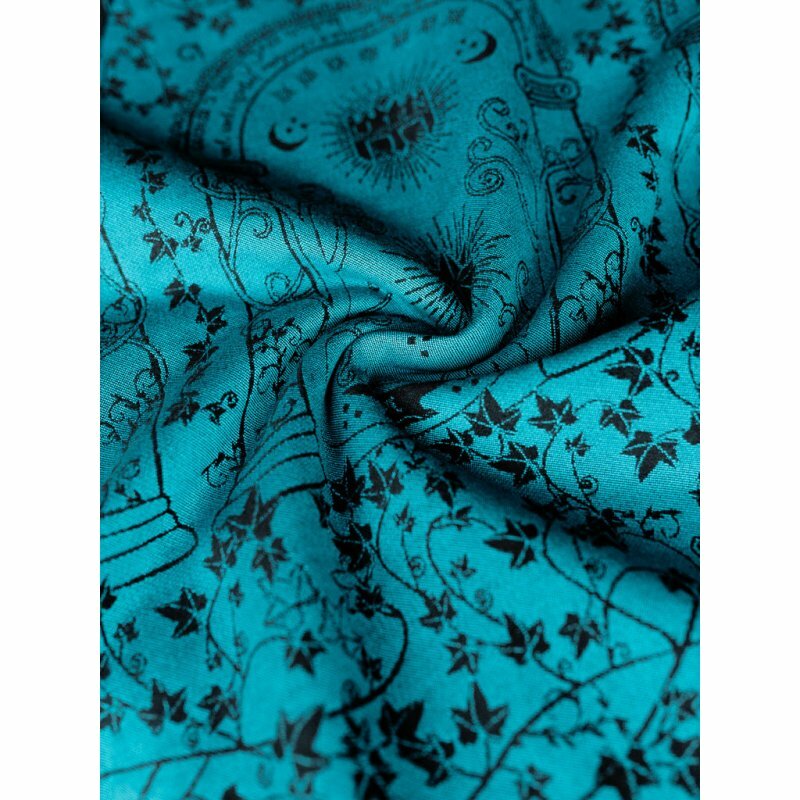 FABRIC COMPOSITION: 100% organic combed cotton, 65cm wide.